Two major travel ‘must see’ lists with global influence have named Perth as the place to be this year. Travel + Leisure has included Perth in its 50 Best Places to Travel in 2017 while Lonely Planet has included the Pinky’s Eco Retreat and Beach Club on Rottnest Island as number eight on itsTop 35 New Travel Openings in 2017. 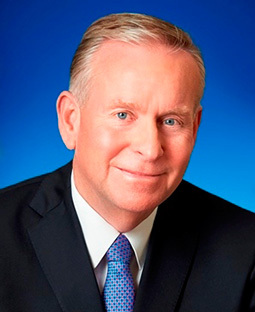 Premier and Tourism Minister Colin Barnett said the recognition was pleasing. “Over the past few years, the Liberal National Government has worked harder than ever to have Perth recognised as an exciting tourism destination full of diversity and vibrancy,” Mr Barnett said. “Our city has transformed with unprecedented levels of public and private investment including the opening of Elizabeth Quay on the Swan River, more than 4,000 new hotel rooms either opened or in the pipeline, hundreds of new bars and restaurants and a vibrant cultural and sporting events scene. “Popular tourist spots in the wider Perth region are also being transformed including Fremantle, Scarborough and Rottnest Island. The Premier said more and more people were discovering Perth was the perfect place for a holiday combining the finer things in life as well as getting back to nature. “We have one of the world’s biggest inner-city parks, Kings Park, right on our doorstep. Within 30 minutes you can be at some of the best beaches in Australia or in the Swan Valley wine region. Within one hour you can be swimming with dolphins, on the world-recognised Rottnest Island or in the moonscape of the Pinnacles. Then in the evening you can dine at any number of world-class restaurants and have a nightcap at an award-winning bar,” Mr Barnett said. Perth’s dining scene is what caught the eye (and taste buds) of those compiling the Travel + Leisure list. Singled out as examples were Odyssea at City Beach, Reveley and Isle of Voyage at Elizabeth Quay, and the Waiting Room, the cocktail bar in the new and luxurious six-star Crown Towers hotel. While not even open for business just yet, the glamping experience at Pinky’s Beach on Rottnest Island has Lonely Planet excited enough to include it in its top 10. The Premier said Tourism WA’s new campaign Just Another Day in WA would continue to promote Perth in key markets including Sydney, Melbourne, Singapore, Malaysia, China, Indonesia, the United Kingdom, the United States of America, Germany and New Zealand.